High Speed up to 120 pcs. / Min. SSMECH offers Bag Making Machines with high output. 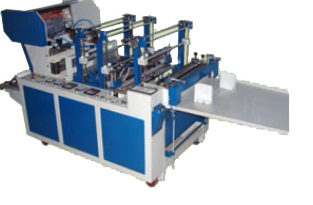 we offers bag making machine with Servo motor & its control and with Mechanical Clutch & break System as per customer requirements. We are manufacturers and Exporters of Bag Making Machine and Double Decker Bag Making Machine.